The UK’s Financial Services Authority said today that it has identified a number of measures that may need to be taken to address “some of the emerging issues” resulting from the introduction of pension freedoms in 2015, including researching the unadvised pension drawdown market to determine “whether additional protections should be put in place”. The FCA’s recommendations were included in an initial package of findings from the Retirement Outcomes Review, the regulator’s first major effort aimed at determining how the 2015 “pension freedoms” have changed the UK’s retirement income market. The FCA review was launched in July 2016. It is inviting feedback on the initial findings and recommendations published today, and aims to publish a final report in the first half of 2018. Plans to “gather evidence on whether consumers pay high charges” in connection with their unadvised pension drawdown arrangements, and as a result “have ended up with unsuitable investment strategies” topped a list of some of the key action points included in today’s interim review document. 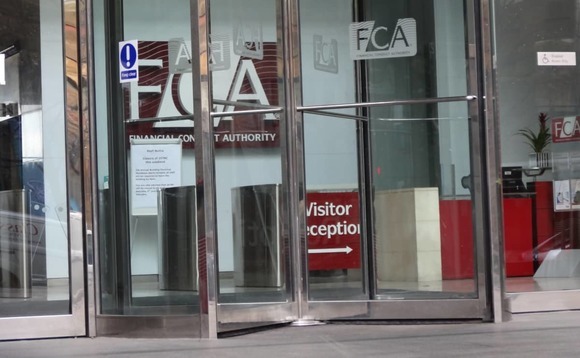 Drawdown, the FCA noted, has become much more popular since the pension freedoms were brought in, with twice as many pension pots now being moved into drawdown rather than being used to fun annuities. Included in today’s interim review are a number of key findings that suggest how significantly the pension freedoms that took effect in April 2015 have transformed the UK’s pension industry. Key among these is that, in the FCA’s words, “accessing pension pots early has become ‘the new norm’,” with consumers under the age of 65 accounting for almost three quarters (72%) of pots that have been accessed over that time. Among these early-accessers, “most are choosing to take lump sums rather than a regular income”, the FCA points out. More than half, or 53%, of the pension pots accessed under the new freedoms “have been fully withdrawn”, although such fully-withdrawn pots are mostly small, with 90% of them containing less than £30,000, the FCA data reveals. Of those making full withdrawals of their pension pots now that this is possible, 94% had other sources of retirement income in addition to the state pension, the figures show. • “More than half (52%) of fully withdrawn pots were not spent but were moved into other savings or investments. Some of this is due to a lack of public trust in pensions. This can result in consumers paying too much tax, missing out on investment growth or losing out on other benefits. • “Consumers who access their pots early without taking advice typically follow the ‘path of least resistance’, accepting drawdown from their current pension provider without shopping around. • “Consumers are increasingly accessing drawdown without taking advice. Before the freedoms, 5% of drawdown was bought without advice, compared to 30% now. Drawdown is complex, and these consumers may need more support and protection. • “Providers are continuing to withdraw from the open annuity market, which could bring a risk of weakened competition over time. In a statement accompanying the interim findings of the Retirement Outcomes Review, Christopher Woolard, executive director of strategy and competition at the FCA, noted that the findings have given the regulator “an early view of areas to keep a close eye on”. “We have identified areas where early intervention may be needed either now or further down the track to put the market on the best footing for the future,” he added. “Ensuring this market works well will require cooperation across Government, regulators, the industry and consumer bodies. To read and download from the FCA’s website a 14-page summary of the interim review, and/or a copy of the full 122-page review, click here.